I’m delighted to be able to publish a blog here by my friend and indefatigable disability rights campaigner, Anne Novis. As I’ve said elsewhere, Anne’s work in so many areas, but particularly in raising the murder of Albert Adams, as long ago as 2005, is key in the campaign against disability hate crime. She has also been crucial, along with Stephen Brookes and other co-ordinators, in developing and maintaining the Disability Hate Crime Network. Here’s Anne’s thoughts on this latest murder. A life less valid – When is a hate crime not a hate crime? It seems that a hate crime is now not defined by the perception of the victim, his or her family or communities, as it should be in law. No matter how many times a victim has reported each and every time they are harassed, abused and attacked due to race and disability, or being perceived as ‘different’. As has been highlighted by the case of Mr Bijan Ebrahimi, murdered by one man (assisted by one more), following years of abuse and hostility by many others who lived near him in various homes. His body doused with white spirit and set alight. His family believe he was picked on as he lived alone, was disabled, vulnerable, and because “he was different”. In a statement, the family said in one “callous act of unimaginable hatred” its entire world had been taken. …..we are gravely concerned that the actions of those men may have been made possible by the failures of the police and others to protect Bijan. So as a disability campaigner and activist on disability hate crime for nearly two decades, knowing how hard myself and others have worked to raise awareness, improve reporting to police, changing the way police and legislation promotes justice for disabled people myself and others expected the Police, Crown Prosecution Service and the courts to recognise this case as hate crime from the outset. Why? First because the police have already admitted they let this man down by their actions and poor responses to his experiences, the family had made it clear they saw this murder linked to all the other hate crime Bijan had experienced, and lastly because we have evidenced that many disabled men get falsely accused as being paedophiles as part of a campaign of hate and horror against their victims. 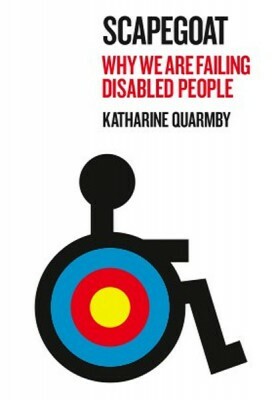 Katherine and I had worked together on a groundbreaking report called ‘Getting away with Murder: disabled peoples’ experiences of hate crime’, we had also worked with others, advising the Equality and Human Rights Commission on its inquiry into disability related hostility. Its report ‘Hidden in Plain Sight’, published in 2011, had stated that the false allegation of pedophilia against disabled people was a clear and present danger to their lives. I have also produced reports cataloging over 70 murders of disabled people and hundred of attacks as evidence for this inquiry. Through my own experience, work with victims of disability hate crime, and disabled peoples organisations I know any excuse is used to validate abusing, attacking and murdering a disabled person just because they are perceived as different. 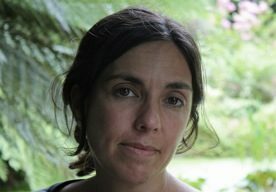 From before birth, the abortion of disabled a foetus up to 40 weeks of pregnancy, to segregated education, euthanasia, assisted suicide, so called ‘Mercy killings’, the killing and segregation of disabled people has been justified for centuries and contributes to the attitudes disabled people face these days in society. Add to this the current political and media stances about disabled people being a burden on the state, unsustainable, fraudsters and non tax payers we are facing vitriol and scapegoating for all the problems at this time. My answer is absolutely Yes! for if we cannot support those in society who need support and protection what does that say about us as individuals and as a nation? How much money does it take to do your job properly as a police officer, housing officer, MP, or judge? No extra money at all for in this case, as in many others, it’s the poor responses to reports of hostility by disabled people to these agencies that can lead to deaths and a life of fear and abuse. So the term used by the Nazi’s about disabled people having ‘ a life less valid’ echoes down the years as we face yet again the lack of justice for a disabled person who faced years of harassment, abuse and hostility before he was brutally murdered. As for hate crime, I ask as many must do at this time, if Bijan’s experiences and murder cannot be recognized as a result of hate crime by the CPS and court, what can? How much more evidence does anyone need to understand the lived experience of victims of hate crimes? Shame on all the people who let this man down, who abused, harassed and murdered him, shame on the UK justice system for allowing such an injustice to occur and shame on those who try to ‘excuse’ such crimes by stating he was partially at fault due to making so many complaints which is what the prosecution used as a defence and shame on those who think it is unreasonable to expect such a victim to be protected. So now across the country the question has to be asked: when is a hate crime not a hate crime? This entry was posted in Uncategorized and tagged Albert Adams, Anne Novis, Bijan Ebrahimi, disability hate crime, Disability Hate Crime Network on December 1, 2013 by katharinequarmby.